Save $20 off of the cost of any labor service, excluding oil changes. Welcome to Law Automotive, one of the most advanced automotive service centers in Springfield, Illinois. At our family owned and operated business, we provide quality car repair and auto services using the most advanced technology, installed by all ASE certified, professional and experienced auto technicians. Our automobile repairs on foreign and domestic cars and trucks have a proven value and a warranty that is second to none. The Law Family name stands for honesty and quality, and we stand behind all of our services with an industry-leading 3 Year / 36,000 Mile Warranty. Your trust is most important to us. We want you to have complete confidence in our ability to protect and preserve your vehicle’s systems and performance. If you need us for complex auto repairs or routine maintenance, we’re here for you. Make us your go-to auto service facility. Visit Law Automotive in Springfield, IL and find out why we should be your chosen automotive repair shop--the best alternative to the car dealer. Our customers know they can trust us so they have no problem leaving their vehicle in our capable hands. Finding a technician that has the ability is one thing. Finding a technician that you can trust is another. We’re here to get you back on the road as quickly as possible. With a 30-year involvement in motorsports, we know how to get the most dependability, longevity, and performance from your vehicle. If your vehicle is already on one of our service plans, then our job is to keep you in the fast lane. Quality road travel is the reason you purchased your automobile, and that’s the reason we built our top-notch facility back in 1995 and expanded it again in 2003. Working under the Golden Rule, we always strive to meet and exceed your expectations. As a full-service repair shop, we handle auto repairs for all makes and models of vehicles. We specialize in complete automotive care including lube changes, engine repair, tune-ups, brake repair, steering and suspension repair, tire repair, and much more. Our shop employs a team of highly-trained and qualified technicians to meet any performance issues. We’re going to keep you ahead of any costly repairs and breakdowns with preventative maintenance services. We stay abreast of the latest technologies to make sure you receive the best quality services available. Give us a call today at 217-546-2332 to schedule your next appointment. You can save time by scheduling right now using our online scheduling system. Next time you’re in the area, feel free to stop by. Our ASE Certified techs gladly welcome all walk-ins! We offer free shuttle service AND pick up & delivery to make your repair experience as convenient as possible. 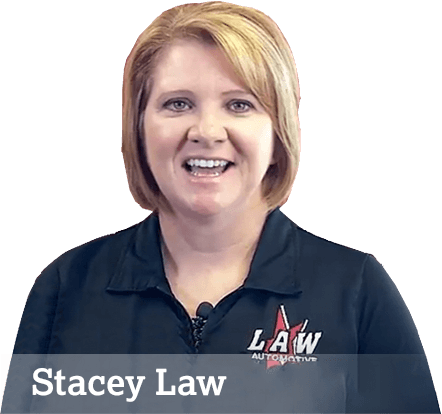 What Makes Law Automotive Great? One of the best warranties around, backed nationwide by Napa. Tired of slow dealership service? We put our name on the line! Our family loves serving our community. Can’t make it in to the shop? We’ll come and pick up your vehicle if you’re within a 5 mile radius. Instead of waiting at the shop, we’ll give you a lift to work so you can get on with your day. Always remember to treat others as you would like to be treated! These are the bare essentials for running our top-of-the-line repair shop. We want our customers to always know we’re on their side. It doesn’t make us happy to perform an expensive repair service after your vehicle breaks down. It makes us happy when we help you avoid those expensive repairs altogether. Your wallet stays heavy and your vehicle remains in the fast lane as long as you have our techs on the job. Law Automotive in Springfield, IL strives to earn and keep your trust with every service we provide. Similar to law enforcement, keeping you and your passengers safe on the road is our top priority. Our customers mean everything to us, and so does our reputation. 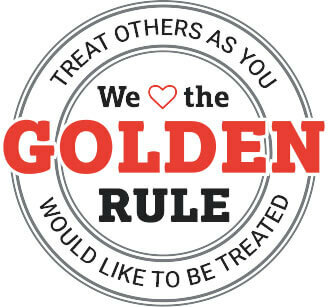 We apply the Golden Rule to our services and our relationships to make sure our customers always leave our shop satisfied with the way they were treated. Law Automotive understands that even though we’re servicing cars, our job is to serve people. Even if we perform the fastest and most complete and accurate repairs, you will remember how you were treated at our shop more than anything. Since we go above and beyond to meet and exceed customer expectation of quality service, our customers keep coming back to us for any of their auto service needs.